Need SIM Cards for Trackers? SIM cards for GPS Trackers and GPS Tracking Devices vary hugely in cost - which is why we want to give you the best information! In just a moment we'll tell you how to get a free SIM perfect for a GPS Tracker. The SIM Card for your Tracker needs to be from your own country. 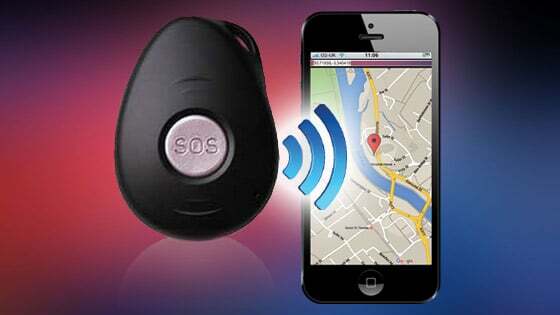 Our GPS Trackers are 2G, but you can also buy a 3G version. 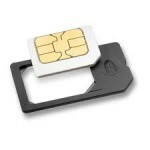 SIM Cards for Trackers allow the GPS Tracker to be able to transmit information out via text message or data (GPRS) to an online server, for online tracking. Some, e.g. our Stray Star GPS Tracker can also make or accept calls. SOS buttons also automatically send out texts with location data, when pressed. You can use SIM cards for Trackers from any provider for a GPS Tracker - in the UK examples would be Orange, O2, Vodafone, Tesco-Mobile etc. Our favourite SIM Card for a Tracker is Giff Gaff. They use the o2 network (which has great coverage), and no ongoing contracts, so you can start and stop a month of use whenever you like. They have "goodybags" which start from £5 per month - giving plenty of call time, minutes and online usage. We've found these to be the perfect SIM cards for Trackers - giving more than enough usage. Please see our main SIM cards page for the breakdown of costs, which will help decide whether to use Pay as You Go or a Goodybag for your GPS Tracker's SIM card. When you text for a location reply, or call the device, it will be at standard rates from your mobile. Its not a premium rate or anything like that! Its just like texting/phoning a friend. 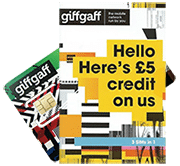 GiffGaff to GiffGaff texts and calls are also free! Learn more about our Stray Star GPS Tracker: packed with features, free pre-installed SIM card and plenty of great information, support and aftercare. Click here to read more.